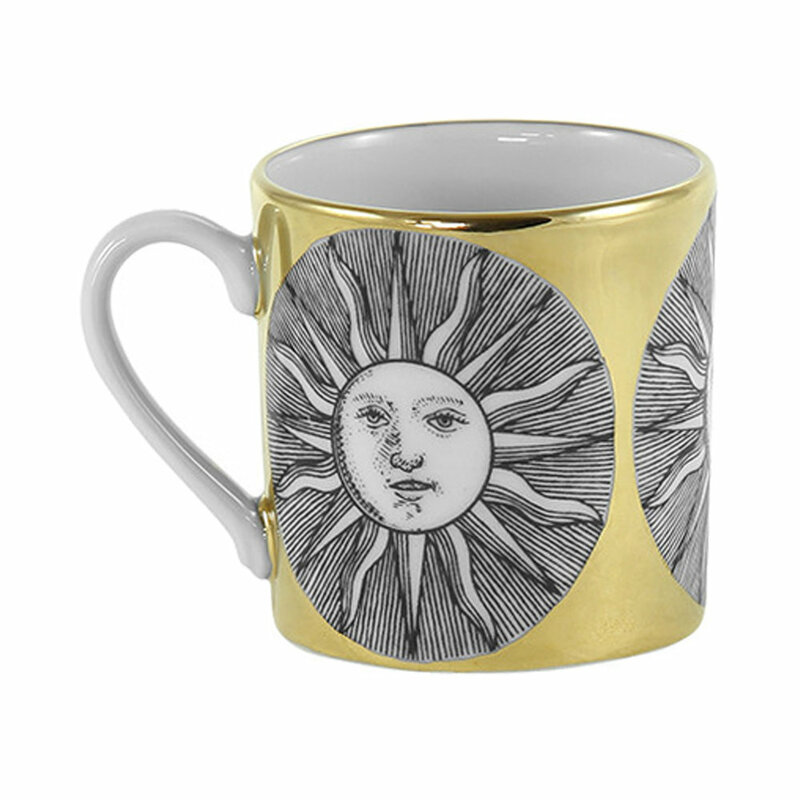 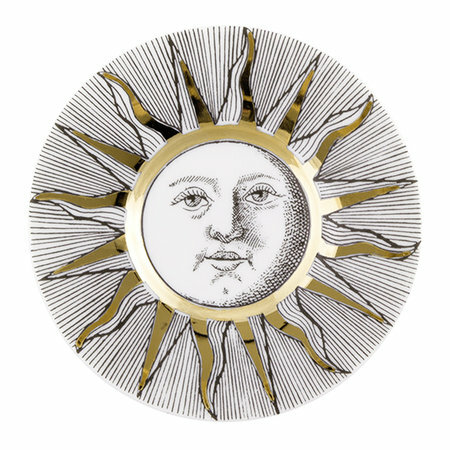 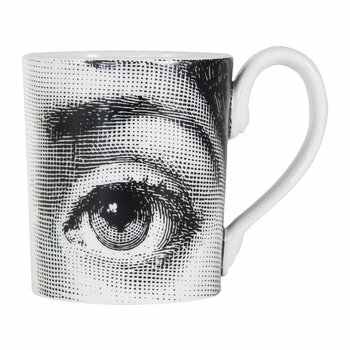 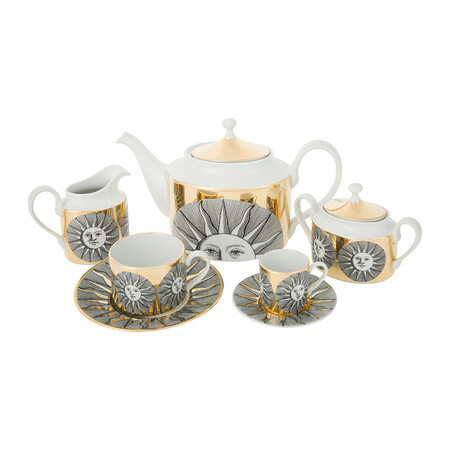 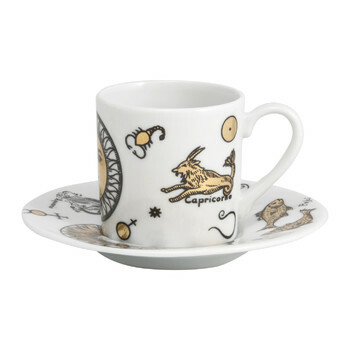 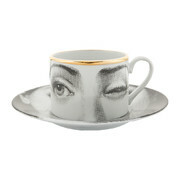 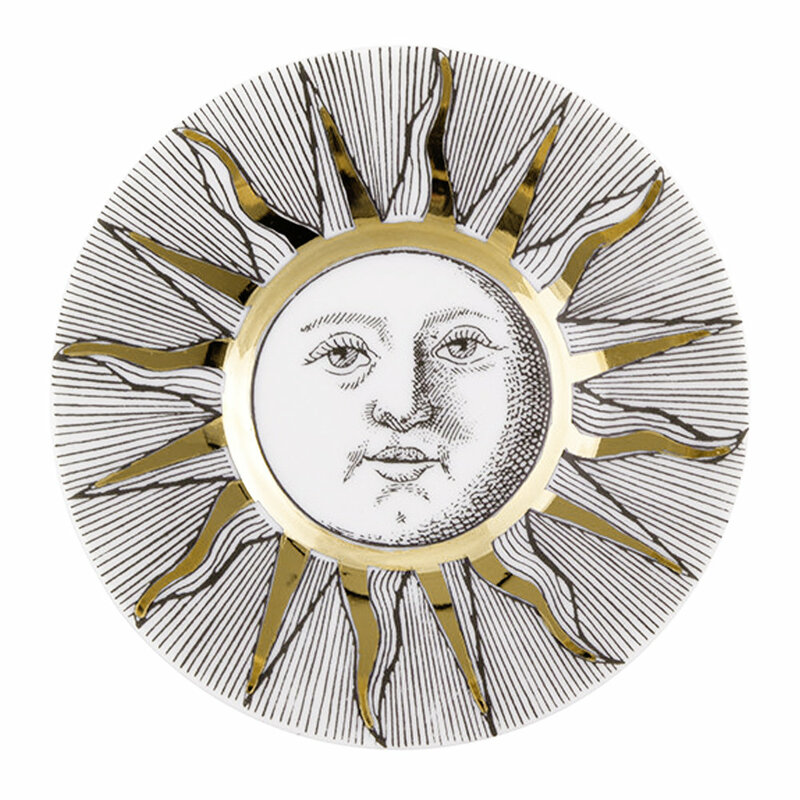 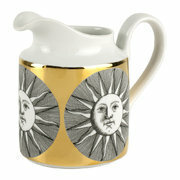 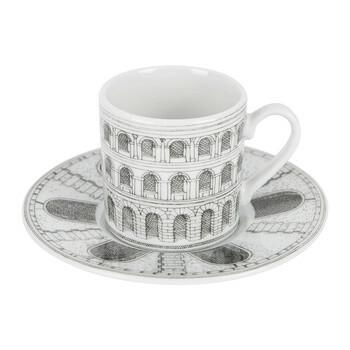 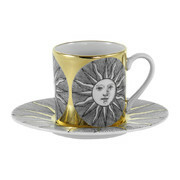 Brighten the breakfast table with this stunning Sole coffee cup from Fornasetti. 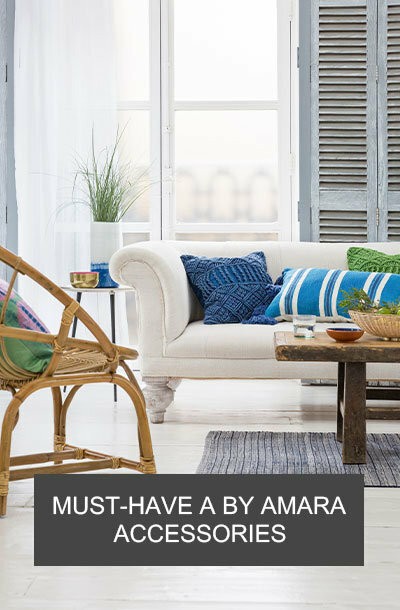 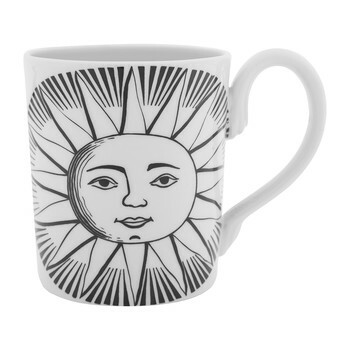 A perfect example of the designer’s iconic style, this coffee cup features a gorgeous sun design in black and white tones, luxuriously contrasting with the gold colour background and shiny edging. 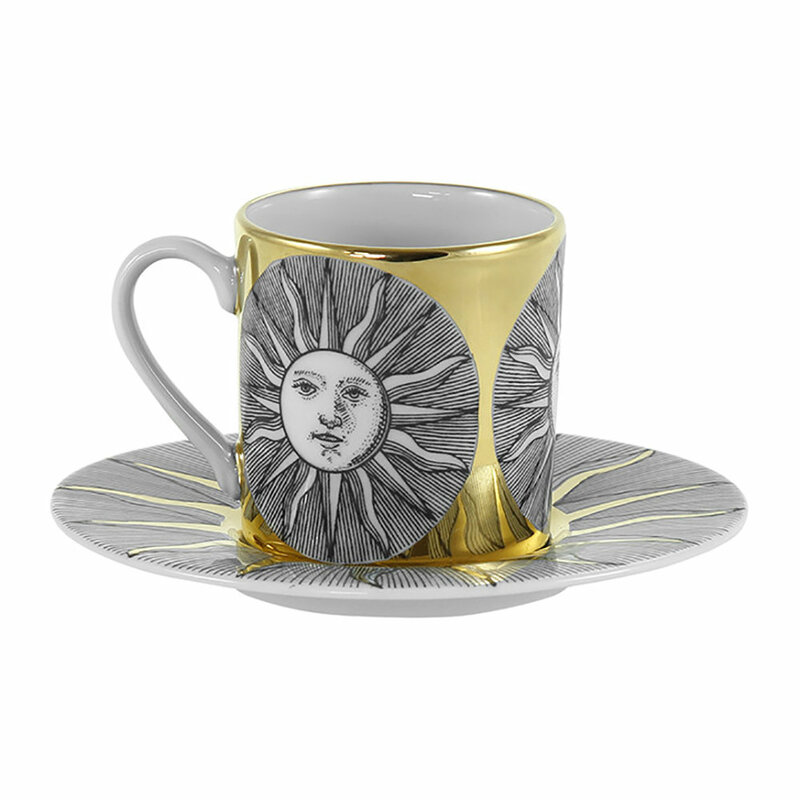 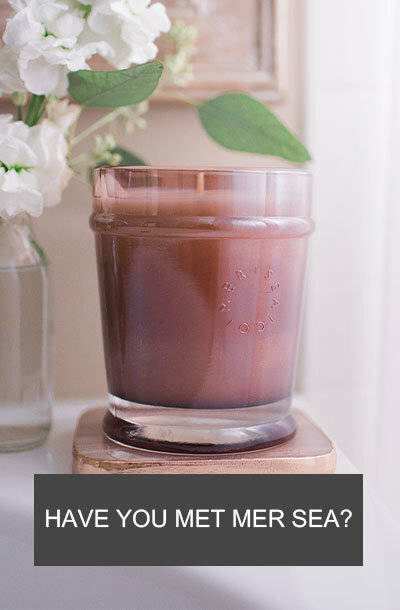 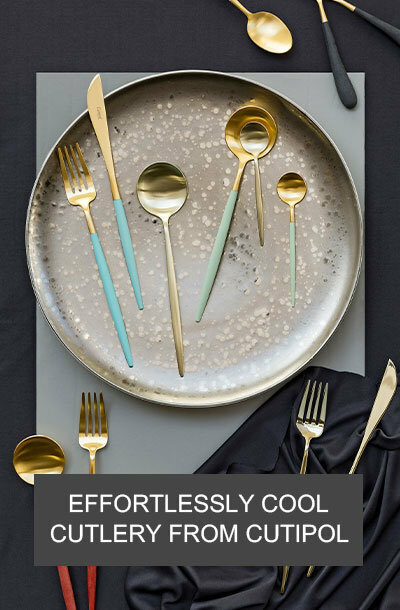 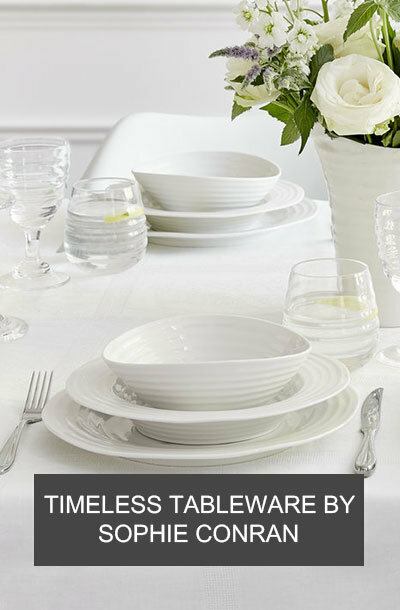 This design is finished with an indulgent matching saucer to avoid any spillages whilst enjoying your favourite beverage, mix and match with coordinating pieces to create a unique table setting. 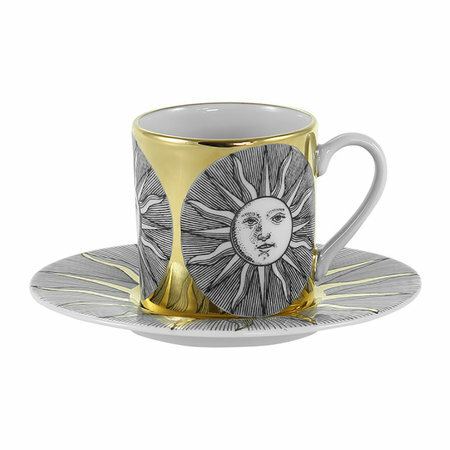 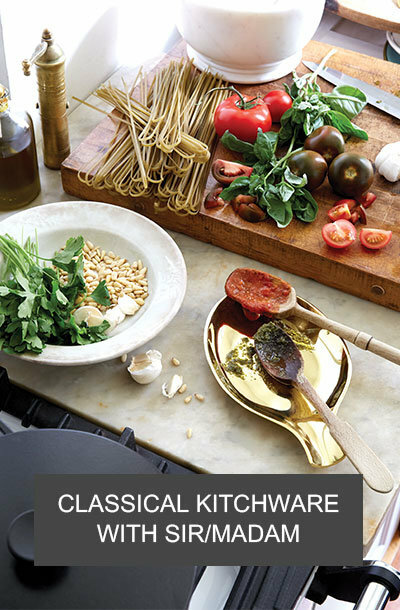 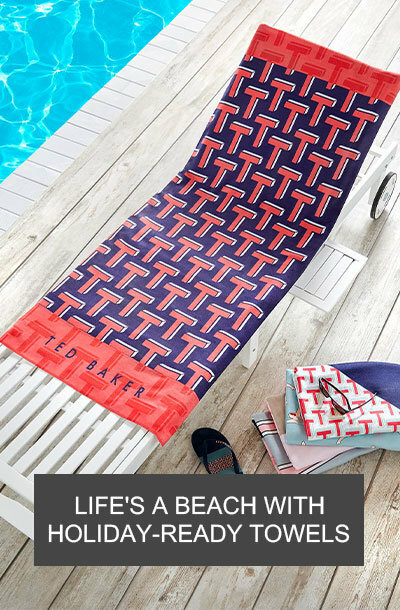 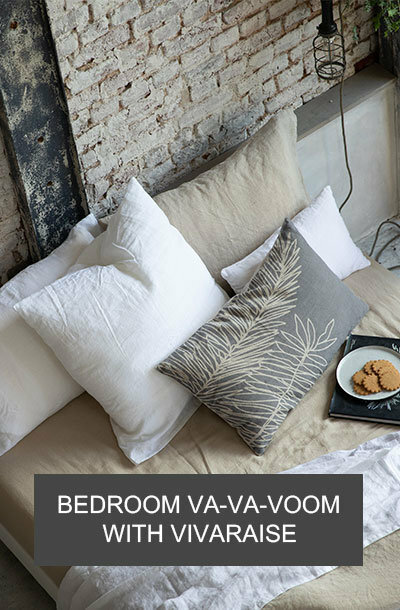 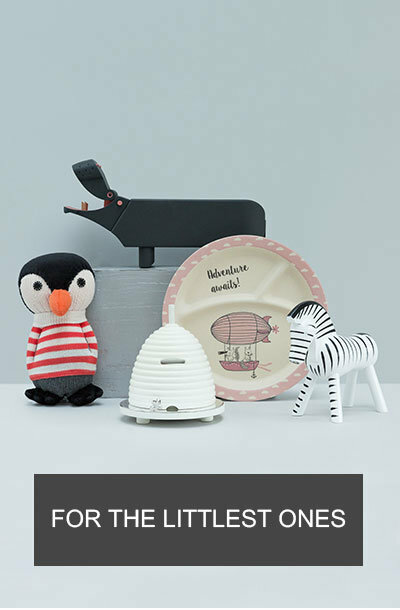 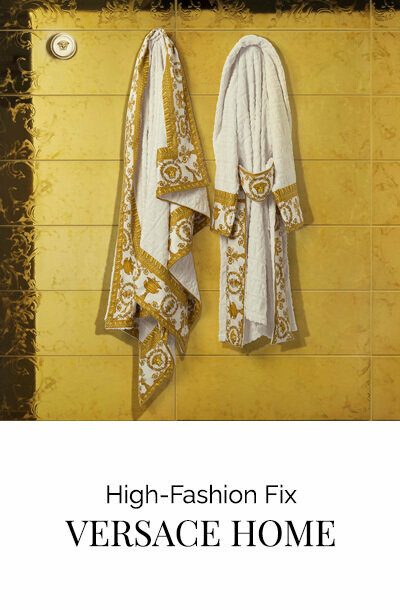 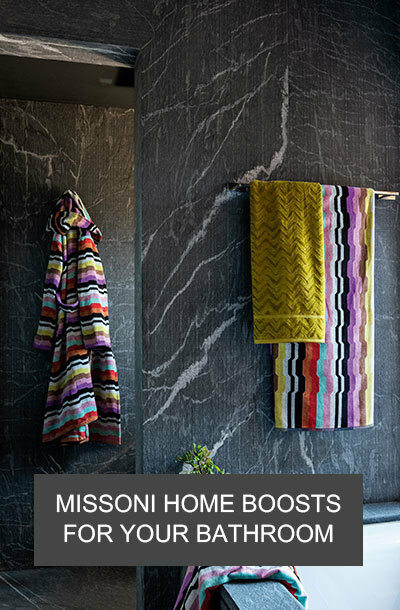 Expertly handcrafted in Italy, each piece has been created using the rigorous techniques deployed in the brand’s very first designs made by Piero Fornasetti himself, a tradition which has been revived and continued by his son Barnaba.